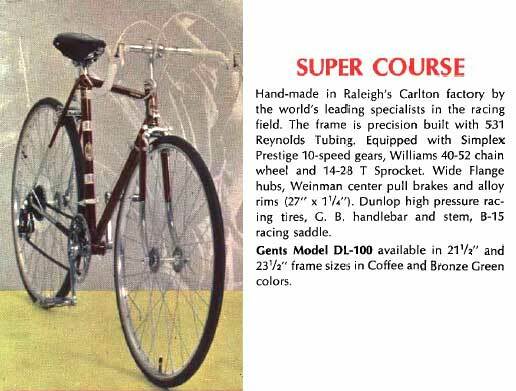 Throughout the Bike Boom era, the Super Course was the least expensive Raleigh model to feature aluminum rims. 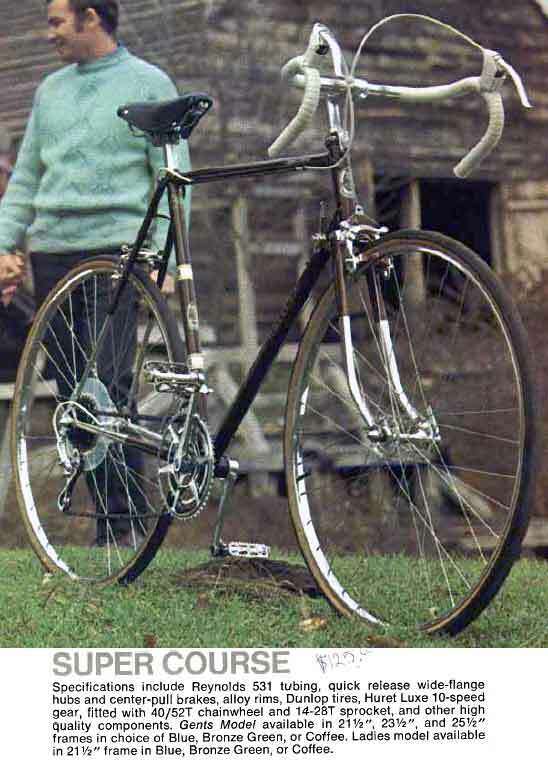 It was also the least expensive model to use standard British tread dimensions, rather than the Raleigh proprietary threading used on bikes built at the Nottingham factory. 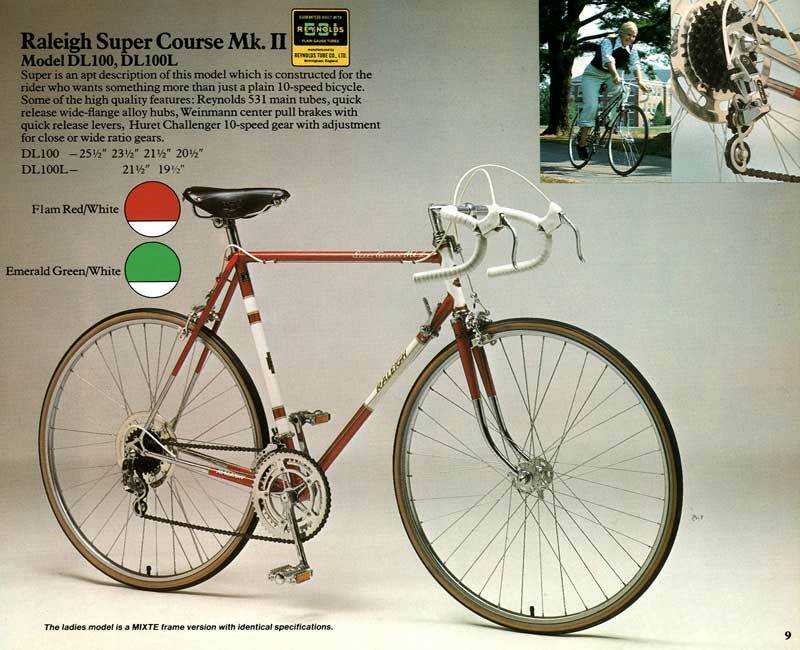 These are quite nice bikes, often suitable for upgrading to modern parts. 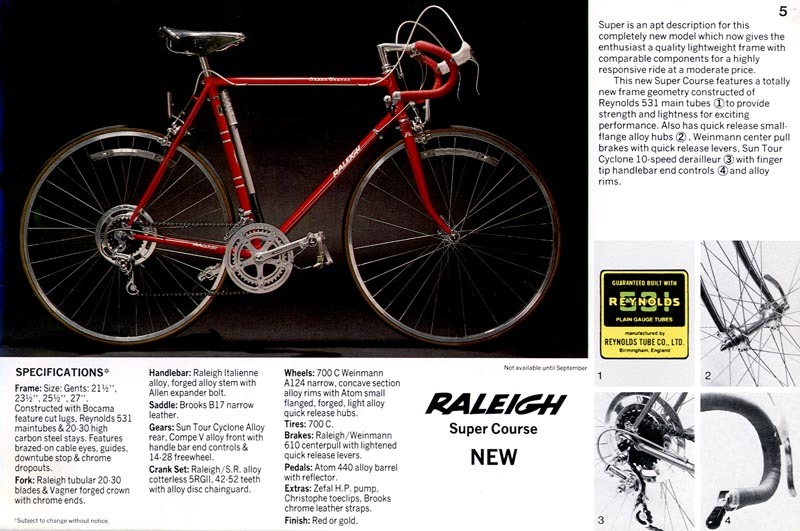 The main triangle of the frame was straight-gauge Reynolds 531.